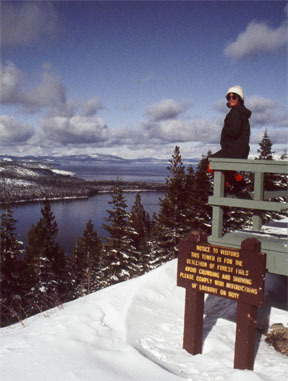 Of the spectacular panorama from Angora Lookout, the most striking feature is the rich blue color of Fallen Leaf Lake and Lake Tahoe. Other impressive sights include the Carson Range to the east and southeast, Mt. Tallac with its steep eastern slopes to the northwest, and Lake Valley to the southeast and below. An obvious extension of the Angora Lookout tour is to continue beyond to Angora Lakes. Be aware that it is not okay to park at the starting point when snow plowing conditions exist. From the trailhead (1) ski or walk if plowed down Tahoe Mountain Road for 0.1 mile until you reach a small meadow (2) located on the south (left) side of the road, which is partially obscured by trees. 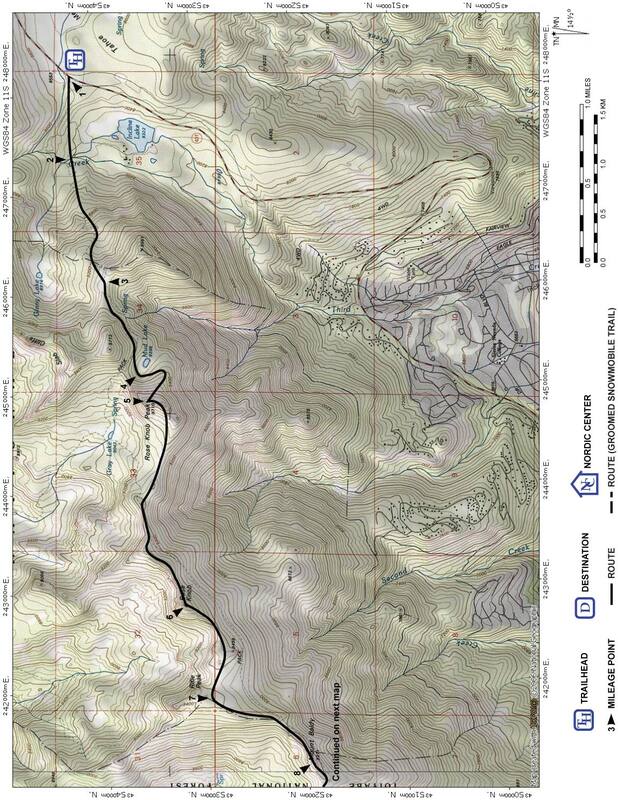 Locate the snow-covered road that skirts the west (right) side of the meadow, and ski southwest on it for 1.8 miles until you reach Angora Lookout (3). The first 0.6 mile on the road is level and the remaining 1.2 miles climbs steadily to the lookout. 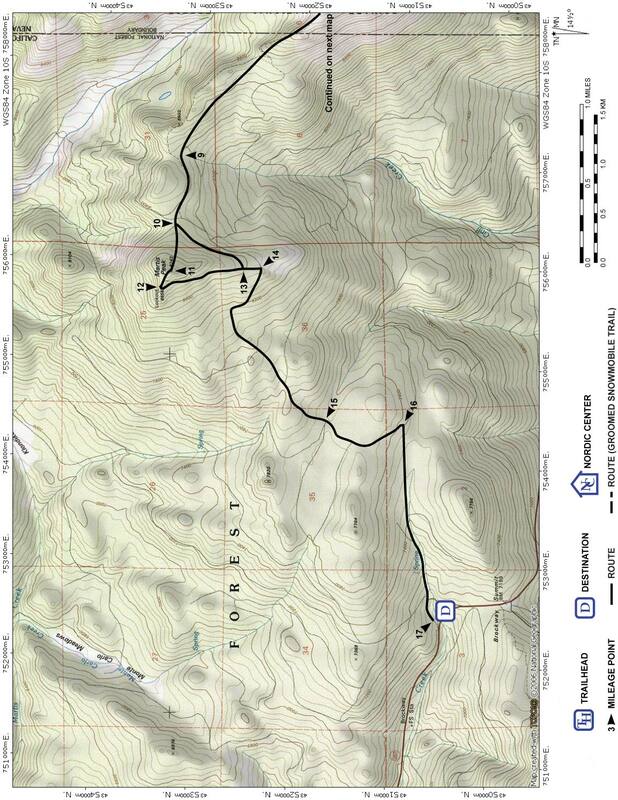 Retrace the route for 1.9 miles back to the trailhead (1).